You are currently viewing an archived version of Topic Remote Sensing Platforms. If updates or revisions have been published you can find them at Remote Sensing Platforms. This version was published on October 15, 2018. DiBiase, D., DeMers, M., Johnson, A., Kemp, K., Luck, A. T., Plewe, B., and Wentz, E. (2006). Aerial Imaging photogrammetry: Platforms and Sensors. The Geographic Information Science & Technology Body of Knowledge. Washington, DC: Association of American Geographers. (2nd Quarter 2016, first digital). DiBiase, D., DeMers, M., Johnson, A., Kemp, K., Luck, A. T., Plewe, B., and Wentz, E. (2006). Satellite and shipboard remote sensing: Platforms and Sensors. The Geographic Information Science & Technology Body of Knowledge. Washington, DC: Association of American Geographers. (2nd Quarter 2016, first digital). Remote sensing is both an art and science. A skilled observer is tasked to view and measure items on the Earth’s surface from a distance. This observer must possess knowledge about photography itself (imagery, film, processing techniques, development, etc. ), but also know various ways to capture imagery. And, if there is no way to capture the image, then it must be invented! Evelyn L. Pruitt of the U.S. Office of Naval Research first introduced the term “remote sensing” in 1960. However, years before satellites and digital imaging started dominating the field of remote sensing, people were taking pictures of the Earth’s surface using various methods. Taking these pictures was difficult and often dangerous work. Remote Sensing Platform Issues: Suffice it to say, designing a system that would take imagery from above the ground was (and is) not a simple task. The remote sensing “platform” needs to be able to carry the weight of a sensor, go up to and stay at a specific altitude, remotely take an image (or set of images) at a specific exposure (and possibly at a specific time), and then return that imagery back to the operator. These are issues that were not only faced by early remote sensing pioneers but continue today (with an added challenge of navigating air charts and controlled airspace!). They are issues that are constant across the development of remote sensing platforms and must be dealt with regardless of the platform: from balloons to pigeons to aircraft to satellites and even to today’s small unmanned aircraft vehicals (UAV’s). As we review the history of remote sensing platforms, we’ll examine these various challenges and see how they were (and are) ultimately being addressed. Balloons: In the mid-19th century, several inventors took to the air to experiment with balloon-based photography. In 1858, Gaspard Felix Tournachon (Felix Nadar) captured the first recorded aerial photography from a balloon tethered over the Bievre Valley, in France. Nadar continued his various endeavors to improve and promote aerial photography, taking “military photos” for the French Army’s 1859 campaign in Italy, and later ascending several hundred feet to taking oblique photos of Paris from a tethered balloon (Figure 1a). In 1860, James Wallace Black and Sam King ascended to an altitude of 1200 feet and photographed portions of the city of Boston, managing to capture the oldest conserved aerial photograph (Figure 1b). Balloons are not ideal platforms for aerial photography that required the use of slow exposures and wet photographic plates. Constant movement produced blurry images and flowing hydrogen compromised the plates themselves. Figure 1a. Nadar's 1868 aerial image of Paris, taken from a tethered balloon. Source: Wikimedia Commons. Figure 1b. 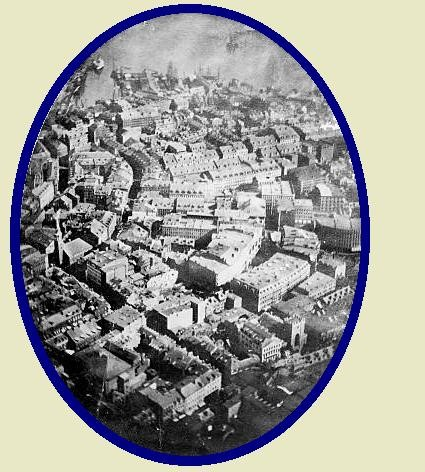 James Wallace Black's 1860 aerial image of Boston. Source: Wikimedia Commons. Kites: In 1884, Kodak revolutionized reconnaissance with its invention of roll film. Eliminating the need for heavy, glass plates allowed for the development of smaller, lighter cameras. This in turned allowed operators to transition from taking cameras up in hot air balloons to sending them up on kites—with explosives to trigger the shutter. In 1888, Arthur Batut took the first aerial photographs over Labruguiere, France using a kite (Figure 2). The camera, attached directly to the kite, had an altimeter that encoded the exposure altitude on the film (allowing for scaling of the image). A slow burning fuse actuated the shutter within a few minutes after the kite was launched. A small flag dropped once the shutter was released to indicate that it was time to bring down the kite. Figure 2. 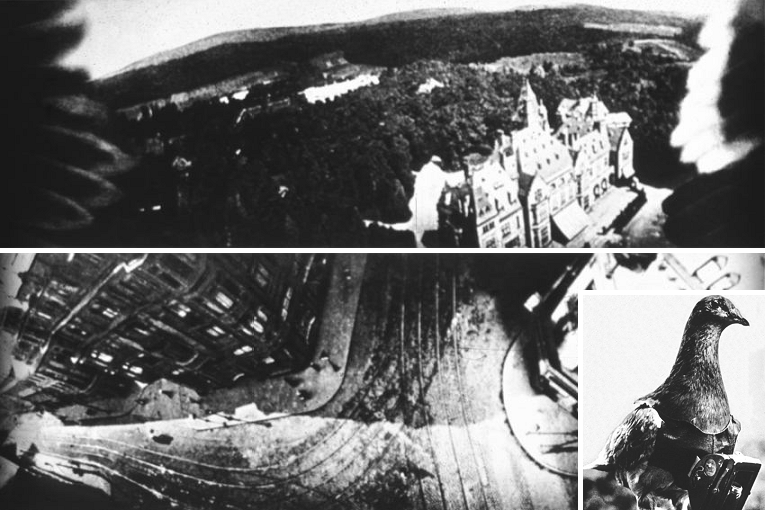 Arthur Batut's 1888 aerial kite and resulting imagery. Source: Wikimedia Commons. Pigeons: In 1903, camera miniaturization had become advanced enough that small, light cameras could even be attached to pigeons. Julius Neubranner designed a breast-mounted aerial camera specfic for carrier pigeons. The 70-gram camera took automatic exposures at 30-second intervals along the pigeon flight line. Although faster than balloons, the flight path of the pigeon was not always reliable. Figure 3. Julius Neubranner’s pigeon-mounted aerial camera, 1903. Source: Wikimedia Commons. Airplanes: In 1909, a passenger flying with Wilbur Wright took the first documented aerial photograph from an airplane. But the first use of airborne surveillance and reconnaissance occurred during World War I, when Kodak K-1 cameras were attached to the side of planes to map trench networks (Figure 4). This method supplanted the traditional technique of aerial reconnassaince by sketching and drawing. Battle maps used by both sides were eventually created from these aerial photographs. 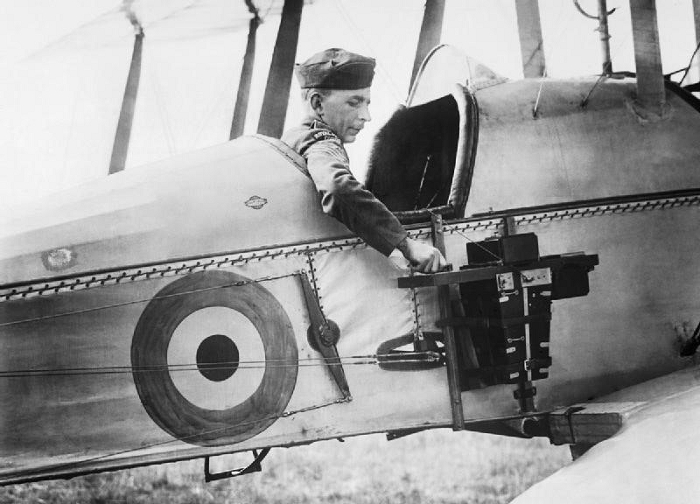 Figure 4: A B.E.2c reconnaissance aircraft of the RFC (Royal Flying Corps) with an aerial reconnaissance camera fixed to the side of the fuselage, 1916. Source: Wikimedia Commons. U-2 Aircraft: After World War II and through the 1950s, the Cold War with the Soviet Union created a need for reconnaissance planes to capture imagery in was that were more surreptitious than ever before, and required new types of planes that could fly high enough that Soviet planes and surface-to-air missiles could not shoot them down. In 1954, President Dwight Eisenhower had the CIA -- working in conjunction with the U.S. Air Force -- negotiate an arrangement with Lockheed to develop such an airplane, the U-2 Aircraft (Figure 5). The U-2 first flew over of the Soviet Union on July 4, 1956 with a flight that began in West Germany and traveled over Poland, Belorussia, Moscow, Leningrad, and the Soviet Baltic states. It flew at 70,000 feet - about 25,000 feet higher than any other plane could fly at the time - and exposed 3,600 feet of film per mission using two high-resolution cameras. One camera with an especially long focal length allowed it to spot items on the ground that were two to three feet across. Eventually, on May 1, 1960, the Soviet Union was able to shoot down a U-2 over its territory with a cluster of missiles. The plane’s pilot, Francis Gary Powers, survived, and in August 1960 the Soviets staged a highly publicized trial. The United States agreed to cease flying reconnaissance planes across the Soviet Union, Communist China, and Eastern Europe, though the U-2 was later used in other sections of the world, most noticeably Cuba and Vietnam. 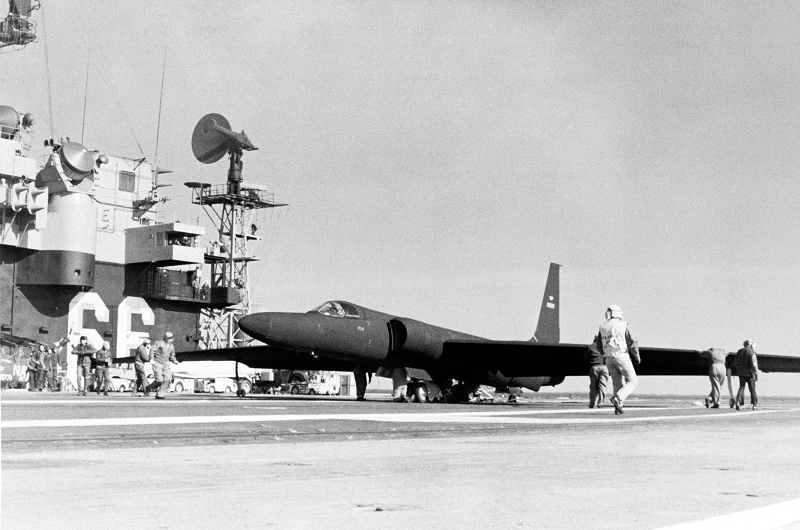 Figure 5: A left front view of a U-2 reconnaissance aircraft parked on the flight deck of the aircraft carrier USS America. Source: Wikimedia Commons. The 1960s and 1970s saw the primary platform used to carry remotely sensed instruments shift from airplanes to satellites. Satellites can cover much more land space than planes, and can monitor areas on a regular basis. Also during this time, imagery became digital in format rather than analog. The digital format made it possible to display and analyze imagery using computers, a technology that was also undergoing rapid change during this period. In addition, digital sensors permitted the transmission of imagery from the platform itself to the ground station without a problematic film return system as was used on CORONA and other satellites (see Section 3 below). Sensors were becoming available that recorded the Earth’s surface simultaneously in several different portions of the electromagnetic spectrum. One could now view an area by looking at several different images, some in portions of the spectrum beyond what the human eye could view. This technology made it possible to see things occurring on the Earth’s surface that one could not detect by simply looking at a visual image. The turbulent social movements of the 1960s and 1970s awakened a new and continuing concern about the changes in the Earth’s physical environment. Remotely sensed imagery from satellites - analyzed and enhanced with computers - made it possible to detect and monitor these changes. Societal support was and generally continues to remain strong for remote sensing technology. Modern aerial sensors collect data using film, digital, LiDAR, synthetic aperture radar (SAR), and several other methods. Although satellites are considered primary platforms (collecting much of the data used by governmental and research organizations), other platforms such as ground-based and airborne platforms (including both manned and unmanned aircraft) are quite prevalent and popular. Different platforms can carry different types of sensors depending upon the needs of the user, and each platform offers advantages and disadvantages in terms of range, cost, stability, frequency, scale, and accuracy. Ground-based platforms include hand held cameras (film or digital), cranes, ground vehicles, tethered balloons, and even towers. Ground-based platforms typically provide up to 50 meters elevated remote sensing data and are useful for acquiring low altitude imagery with frequent coverage for dynamic phenomena. These types of platforms are relatively inexpensive, stable, and due to their low altitude, provide high-resolution data. Airborne platforms include airplanes, helicopters, unmanned aerial systems (UAS), high-altitude aircraft, and free-floating balloons. They range from the slow (single engine or light twin engine), low flying (less than 30,000 feet) aircraft to the faster (twin-engine turboprops or jet) that is capable of flying at altitudes above 30,000 feet. Airborne platforms can provide up to 50 km of elevated remote sensing data, and are useful for acquiring atmospheric data, can pin-point locations, and can be used for specific tasks such as precision agriculture, building maintenance, emergency response, mapping, and environmental monitoring. The National Aerial Photography Program (NAPP) was coordinated by the United States Geological Survey (USGS) as a project to acquire cloud-free aerial photographs at an altitude of 20,000 feet above mean terrain elevation. NAPP photographs were taken with a 6-inch focal length lens at a scale of 1:40,000. Coverage over the conterminous United States includes both black-and-white (BW) and color infrared (CIR) aerial photographs. The NAPP program, which was operational from 1987 to 2007, consists of more than 1.3 million images. Another aerial imagery program is the National Agriculture Imagery Program (NAIP). NAIP acquires aerial imagery during the agricultural growing seasons in the continental U.S. NAIP is administered by the United States Department of Agriculture’s (USDA's) Farm Service Agency (FSA) through the Aerial Photography Field Office in Salt Lake City. Imagery is acquired at a one-meter ground sample distance (GSD) with a horizontal accuracy that matches within six meters of photo-identifiable ground control points, which are used during image inspection. The default spectral resolution is natural color (Red, Green and Blue, or RGB) but beginning in 2007, some states have been delivered with four bands of data: RGB and Near Infrared. The Remote Sensing Division at the National Oceanic and Atmosphere Administration (NOAA) is responsible for providing data to support the Aeronautical Survey Program (ASP), the Coastal Mapping Program (CMP) and Emergency Response efforts through the use of remotely sensed data. The ASP program collects data using field survey and photogrammetric methods to create runway approach procedures and airport obstruction charts. The CMP program works to provide a regularly updated national shoreline for supporting marine navigation, defining territorial limits, and managing coastal resources. Stereo photogrammetry and LiDAR are used to produce a digital database for a national shoreline. In addition, the Remote Sensing Division often acquires and rapidly disseminates a variety of spatially referenced datasets to federal, state, and local government agencies, as well as the general public. In its largest response effort, the NOAA collected over 8,000 aerial images of the hardest hit areas in Alabama, Mississippi, and Louisiana after Hurricane Katrina made landfall. These images were made available to emergency personnel and the public on the NOAA/NGS (National Geodetic Survey) website. UAS is an aircraft without an onboard pilot that is operated autonomously or manually by a remote-control operator. The terms unmanned aerial vehicle (UAV), unmanned aircraft systems/vehicles, remotely piloted aircraft (RPA), and drone, are often used interchangeably. They can be used to collect remotely sensed data for a variety of purposes, including business, agriculture, research, videography, journalism, and numerous others. UAS platforms typically adopted by geospatial researchers are considered small UAS (sUAS), weighing between 0.55 lbs (~0.2 kg) and 55 lbs (~25 kg) as designated by the U.S. Federal Aviation Administration (FAA; weight limits may vary in other countries). UAS’s are revolutionizing how researchers and practitioners model and analyze our world. Compared to traditional remote sensing approaches, UAS provide a largely inexpensive, flexible, and relatively easy-to-use platform to capture high spatial and temporal resolution geospatial data. Capturing imagery is the most common applicaion, and off-the-shelf, point-and-shoot digital cameras are a popular sensor option. Non-imagery applications of UAS includecollecting measurements of temperature, pressure, humidity, and wind for atmospheric sampling and meteorology or environmental surveillance using sensors that can detect CO2, methane, and other gases for pipeline monitoring. LiDAR sensors have been employed for terrain and 3D mapping. Please see the DC-24 (Unmanned Aerial Systems) for a more indepth discussion of drones and their applications. Spaceborne platforms include the space station as well as both low-level (700 to 1500 km) and high-level (~ 36,000 km) satellites. These types of platforms can acquire large areas of data in a short amount of time, which can be used to monitor Earth resources, atmospheric dynamics, and other applications. Satellites can trace their origins first back to the CORONA and then the Landsat programs. CORONA was a secret military reconnaissance program that continues in a modified form today, and Landsat (Land Remote Sensing Satellite Platform) was (and is) an open Earth resources program. From the beginning of the U-2 program, there was concern that the Soviet Union would rapidly develop technology to intercept and down the spy airplane. Thus the United States (in 1956) embarked on developing a reconnaissance system that came to be called CORONA. From the start, figuring out how to take an aerial image from space, and then bring the film back down to Earth, was a primary challenge. Ultimately, a satellite was designed to release a film canister in a parachute-wearing capsule that was to be recovered in mid-air by a specially equipped aircraft. The capsules were designed to float in water for a short period of time, and then sink if the mid-air recovery failed. On August 19, 1960, the first successful air catch was made of a capsule of exposed film ejected from a photographic reconnaissance satellite. The satellite had made seven passes over the “denied territory” of the Soviet Union, China, and the Eastern Europe, and 17 orbits of Earth. This successful launch started the age of space reconnaissance and revolutionized remote sensing. Overall, the CORONA Program was extremely successful. Keyhole-1 (KH-1), the first CORONA satellite, carried a single panoramic camera that had a ground resolution of 40 ft by 40 ft. Advances were made with each mission and by 1967 and KH-4, cameras had 5 by 5 ft resolution and the separation angle allowed stereoscopic images to be created. A single CORONA mission could record more photographic coverage than all of the U-2 missions combined. By the time the CORONA Program was completed in 1972, over 800,000 images had been acquired in 121 launches and 156 recoveries. Keyhole reconnaissance satellites, though, continue to be developed today with the present KH-13’s. When CORONA ended in 1972 the United States launched the first Landsat satellite. Landsat is a spaceborne platform used for commercial, academic, and government uses, and has grown dramatically since its first launch (more on this in the Landsat Section below and in the Landsat GIS&T Body of Knowledge topic, forthcoming). According to the Index of Objects Launched into Outer Space, maintained by the United Nations Office for Outer Space Affairs (UNOOSA), there are over 4800 satellites currently orbiting the planet in 2018, and nearly 600 of them carry sensors that are used for Earth observation (Figure 6). The type of data that a sensor collects will span the electromagnetic sectrum, including sensors that detect visible light, thermal infrared, and radio (specifically, SAR – Synthetic Aperature Radar). The type of sensor residing on the platform and the type of orbit that the platform travels will be based upon the type of monitoring and data collection needed. The monitoring capabilities of a satellite sensor are to a large extent determined by the type of satellite orbit. An orbit is a circular or elliptical path described by the satellite in its movement around the Earth. Different types of orbits are required to achieve continuous monitoring (meteorology), global mapping (land cover mapping), or selective imaging (urban, rural, or agricultural areas) to name a few. Figure 6. Spaceborne platforms orbiting Earth. Source: Pixalytics. 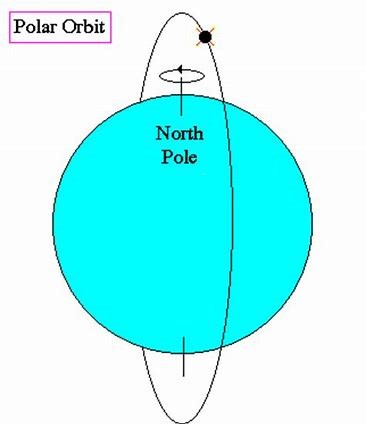 Polar orbit is an orbit with an inclination angle between 80 and 100 degrees (Figure 7). Such a polar orbit enables observation of virtually the whole globe as the Earth rotates underneath it. It takes approximately 90 minutes for the satellite to complete one orbit. This satellite is typically placed in orbit at 600 km to 1000 km altitude. These satellites have many uses such as measuring ozone concentrations in the stratosphere or measuring temperatures in the atmosphere. Advantages of polar orbits include: 1) They provide global coverage, and 2) because the orbits are relatively low altitude, they provide fairly high data resolution. The disadvantage of a polar orbit is that they cannot provide continuous viewing of one location. The Sun-synchronous orbiting satellite passes over any given point on Earth’s surface at the same local solar time (Figure 8). Because of the consistent lighting in Sun-synchronous orbits, scientists leverage this in various remote sensing applications, such as change detection monitoring. Satellites that maintain Sun-synchronous orbits cover each area of the world at a constant local time of day called local Sun time. Therefore, at any given latitude, the position of the Sun in the sky as the satellite passes overhead will be nearly the same within the same season. This ensures consistent illumination conditions when acquiring images in a specific season over successive years, or over a particular area over a series of days. This is an important factor for monitoring changes between images or for mosaicking adjacent images together, as they do not have to be corrected for different illumination conditions. Altitudes of Sun-synchronous orbits are typically around 700 km to 850 km, with orbital periods between 90 to 100 minutes (or, about 14 orbits per day). 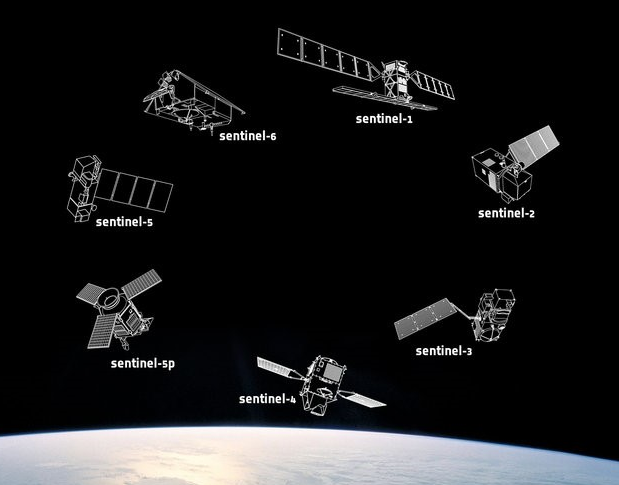 Earth resource satellites that are Sun-synchronous include (but are not limited to) Landsat, SPOT, Sentinel, POES, Quickbird, IKONOS, Beijing-1, Terra, Aqua, Aura, Skysat, and ZY-3. More information regarding these different satellites is in the Various Spaceborne Platforms and Their Characteristics section below. Figure 8: Sun-synchronous orbit. 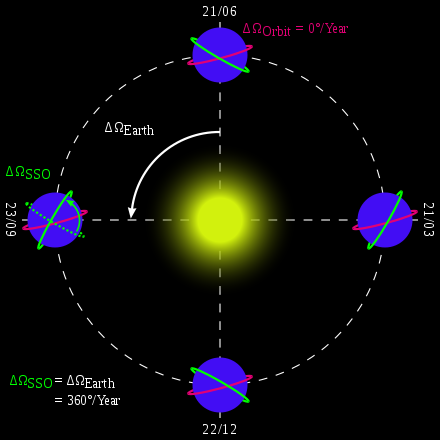 Diagram showing the orientation of a Sun-synchronous orbit (green) at four points in the year. A non-Sun-synchronous orbit (magenta) is shown for reference. Source: Wikipedia. Geostationary orbits are located at a distance of 36,000 km above the Equator (inclination angle of 0 degrees) (Figure 9). At this distance, the orbital period of the satellite is equal to the rotational period of the Earth. The result is that the satellite is at a fixed position relative to the Earth. Geostationary orbits fall in the same category as geosynchronous orbits, but with that one special quality of being parked over the Equator. 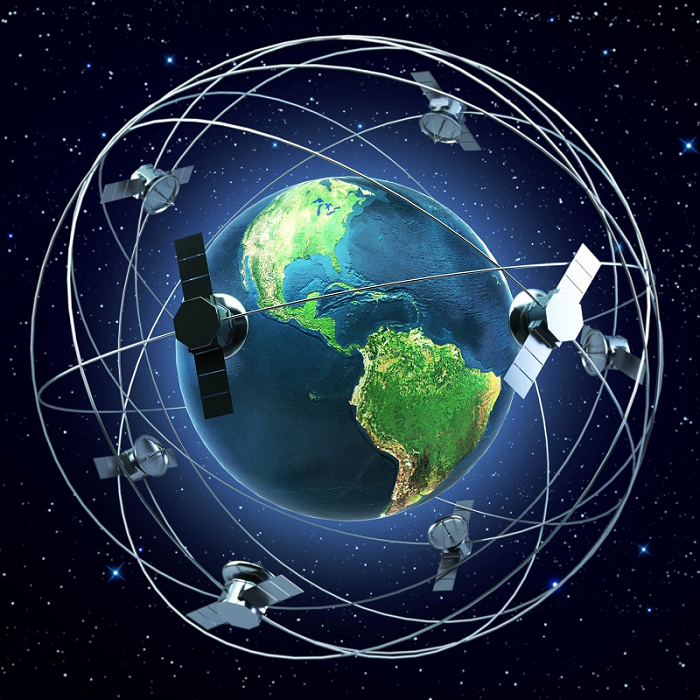 Geostationary satellites are positioned at different longitudes in order to increase global coverage. Benefits of a geostationary platform include: 1) They can make repeated observations over a given area, and 2) one can achieve high temporal resolution data. For example, the GOES (Geostationary Operational Environmental Satellites) satellites provide a temporal resolution of 1 minute, effectively monitoring severe weather environments in real time. The disadvantage of geostationary platforms is that -- due to the high orbit -- the spatial resolution of the data is much lower than polar-orbiting satellites. Today’s meteorological weather satellite systems use a combination of geostationary satellites and polar orbiters. The geostationary satellites offer a continuous hemispherical view of almost half the Earth while the polar orbiters offer a higher spatial resolution. Figure 9. Geostationary versus polar orbiters. Source: David Babb. In 1972, the National Aeronautics and Space Administration (NASA) began the Earth Resources Technology Satellite (ERTS-1), which later became Landsat-1. Each Landsat mission has been named in numerical order, with different sensor platforms defining what data is collected by its sensors. The Landsat-1 mission was a “proof-of-concept” that Earth orbiting satellites could effectively monitor natural and cultural resources. To date, there have been eight Landsat missions, with the 9th planned for launch in 2020 (Table 2). * TM = Thematic Mapper (30m resolution, 120m resolution thermal). ** TM+ (30m resolution, 60m resolution thermal; 30m resolution for band 8 = panchromatic = 0.5-0.9mm). ***** OLI = Operational Land Imager; TIRS = Thermal Infrared Sensor. Landsat provides a unique historical resource to assist a broad range of specialists in managing the world’s food, water, forests, and other natural resources for a growing world population. Open access to its full image collection has been made possible via several online interfaces and this has enabled many geospatial applications. For more detailed information on Landsat, please see Landsat, forthcoming. SPOT is the Système Pour l’Observation de la Terre, initiated by the French space agency in the late 1970’s. SPOT was designed to improve the knowledge and management of Earth by exploring Earth’s resources, detecting and forecasting phenomena involving climatology and oceanography, and monitoring human activities and natural phenomena. SPOT’s off-nadir viewing gives the possibility to create stereo views of the landscape. China’s first civilian high-resolution surveying and resource satellite, Zi Yuan-3A or ZY-3A, was launched in September 2012. The satellite sensors provide panchromatic imagery at 2.1m resolution and 3.6 m resolution for its forward- and backward-looking sensors. It also collects multi-spectral imagery at 5.8 m resolution. It is a near-polar, Sun synchronous satellite, flying at an altitude of 506 km, with a repeat orbital cycle of 5 days. The POES satellite system offers the advantage of daily global coverage, by making nearly polar orbits 14 times per day at approximately 832 km above the surface of the Earth. The Earth's rotation allows the satellite to see a different view with each orbit, and each satellite provides two complete views of weather around the world each day. The National Oceanic and Atmosphere Administration (NOAA) partners with the European Organization for the Exploitation of Meteorological Satellites (EUMETSAT) to constantly operate two polar-orbiting satellites: one POES and one European polar-orbiting satellite called Metop. The POES instruments include the Advanced Very High Resolution Radiometer (AVHRR) instrument (Table 3 and the Advanced TIROS Operational Vertical Sounder (ATOVS) suite. Data from the POES satellites supports a broad range of environmental monitoring applications including weather analysis and forecasting, climate research and prediction, global sea surface temperature measurements, atmospheric soundings of temperature and humidity, ocean dynamics research, volcanic eruption monitoring, forest fire detection, global vegetation analysis, search and rescue, and many other applications. 1 0.58 - 0.68 Daytime cloud and surface mapping, snow and ice extent. 2 0.725 - 1.0 Land-water boundaries, snow and ice extent. 3A 1.58 - 1.64 Vegetation and soil moisture. Delineate snow from clouds. 3B 3.55 - 3.93 Detecting hot targets such as forest fires, night cloud mapping, sea surface temperature. 4 10.30 - 11.30 Determining cloud and surface temperatures, day or night cloud mapping. 5 11.50 - 12.50 Determining cloud and surface temperatures, day or night cloud mapping, water vapor correction. The first GOES satellite launched in 1974. GOES satellites (GOES-13, -14, -15, and -16), operated by the NOAA, orbit the Earth in geosynchronous orbits. Because GOES satellites stay above a fixed spot on the surface, they provide constant monitoring of any atmospheric "triggers" that would cause severe weather conditions such as tornadoes, flash floods, hail storms, and hurricanes. When these conditions develop, the GOES satellites are able to monitor storm development and track their movements. GOES satellite imagery is also used to estimate rainfall during thunderstorms and hurricanes, as well as estimate snowfall accumulations and overall extent of snow cover. Satellite sensors also detect ice fields and map the movements of sea and lake ice. The European Space Agency (ESA) is developing a new family of missions called Sentinels (Figure 10). Each Sentinel mission is based on a constellation of two polar-orbiting satellites that carry a range of technologies such as radar and multi-spectral imaging instruments for land, ocean, and atmospheric monitoring. Figure 10. Sentinel family of satellites. Source: European Space Agency. Commercial, small satellites are those satellites with low orbits and less mass compared to major satellites. They usually collect high-resolution data, are relatively low cost, and are flexible to launch. They can be designed, manufactured and launched by private companies, research institutions, or universities, and they are generally designed for special purposes. In 2014, the U.S. Department of Commerce (with support from the U.S. Departments of Defense and State), relaxed regulations regarding the distribution and sale of high-resolution imagery. Consumers can now purchase imagery at up to 0.25 m (25 cm) panchromatic and 1.0 m multispectral resolution. Prior to 2014, the U.S. federal government prevented companies from selling imagery with resolutions sharper than 0.50 m (50 cm). The companies in the satellite imaging market sell images to businesses such as Google Maps and Apple Maps and governments by licensing the images to them. Consumers of remote-sensing data also include farmers, city planners, map-makers, environmentalists, emergency response teams, news organizations, surveyors, geologists, mining and oil companies, timber harvesters, and domestic as well as foreign military planners and intelligence organizations. The rising demand for high resolution and advanced satellite imagery across these various fields has led to the increased use of commercial satellites. IKONOS was the first commercial Earth observation satellite to collect publicly available high-resolution imagery at 1m panchromatic resolution and 4m multispectral resolution. IKONOS (launched by a company called GeoEye) orbits at an altitude of 681km (with a revisit frequency of 3-5 days off nadir, and 144 days for true nadir). IKONOS brought imagery rivaling that of military spy satellites to the commercial market. IKONOS imagery began being sold on 1 January 2000. The spacecraft was retired in 2015, but the imagery is available in the DigitalGlobe library. QuickBird is a high-resolution commercial Earth observation satellite owned by DigitalGlobe that launched in 2001 (and decayed in 2015). The satellite collected panchromatic imagery at 61 cm resolution and multispectral imagery at 2.44 m - 1.63 m resolution (at 450 km and 300 km altitude, respectively). The orbit altitude lowered during the end of its mission life. At this resolution, details such as buildings and other infrastructure were easily visible. Beijing-1 is a low-cost Earth observation satellite established by a private company (BLMIT) to manage commercial data distribution and services. The platform carries two payloads that provide high-resolution (4 m) panchromatic images alongside medium-resolution (32 m) multi-spectral images. Beijing-1 provides the Chinese government and commercial users with information on agriculture, water resources, environmental, and disaster monitoring throughout China. The satellite is also used for monitoring urban development and pollution. Beijing-1 is capable of continuously imaging Chinese territory even at the longest landmass track (3000 km) and transmits images to the groundstation in Beijing in real-time. Beijing-1 orbits at an altitude of 699 km, and is a member of the Disaster Monitoring Constellation. SkySat is a constellation of sub-meter resolution Earth observation satellites owned by Planet Labs that provide high-resolution panchromatic and multispectral imagery, high-definition video, and analytics services. Planet Labs acquired the satellites with their purchase of Terra Bella (formerly Skybox Imaging) from Google in 2017. The resolution of the SkySat satellite imagery and videos is high enough to observe objects that impact the global economy such as terrain, cars and shipping containers. The satellites can capture video clips lasting up to 90 seconds at 30 frames per second. When Skybox originally developed the satellites, they planned to "change the nature" of the satellite industry by building satellites with "off-the-shelf" electronics that cost under $50 million. The SkySat satellites are based on the CubeSat concept, using inexpensive automotive grade electronics and fast commercially available processors, but scaled up to approximately the size of a minifridge. CubeSat is a type of miniaturized satellite that is made up of multiples of 10x10x10 cm cubic units, having a mass of no more than 1.33 kg per unit. SkySat satellites are approximately 80cm long and weigh 220 lbs. The satellites operate in a polar inclined, circular orbit at approximately 450 km above the earth. EROS is a series of Israeli commercial Earth observation satellites, designed and manufactured by Israel Aircraft Industries (IAI). The satellites are owned and operated by ImageSat International, another Israeli company. EROS A was launched on December 5, 2000 to an altitude of 480 km. The satellite provides commercial images with an optical resolution of 1.8 m. The satellite orbits Earth in a Sun-synchronous orbit, so that its imaged target is always in daylight. EROS A always crosses the equator at 9:45am local time. EROS A has a height of 2.3 m and a diameter of 1.2 m. It weighs 250 kg. EROS B was launched on April 25, 2006. The satellite offers an optical resolution of 70 cm (about two feet). 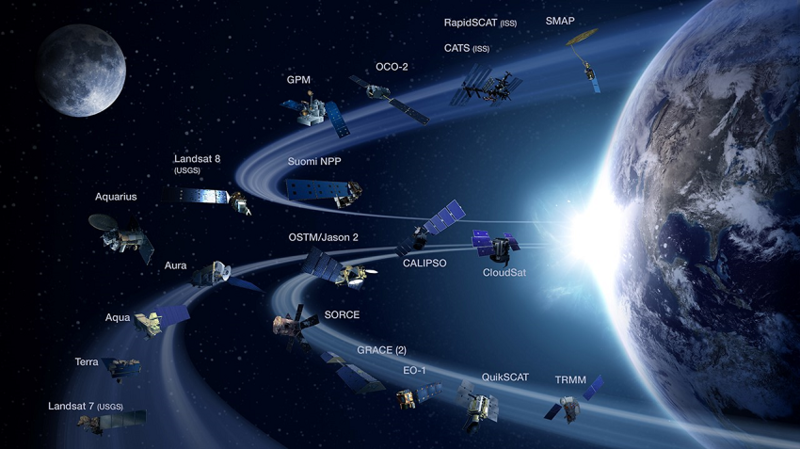 NASA’s Earth Observing System (EOS) is a coordinated series of polar-orbiting and low inclination satellites for long-term global observations of the land surface, biosphere, solid Earth, atmosphere, and oceans (Figure 11). The satellite component of the program was launched in 1997. Table 5 shows some of the active platforms of the EOS system, their launch date, and their mission description. About Landsat. (2018, October 15). Retrieved from https://landsat.usgs.gov/about-landsat. Advanced Very High Resolution Radiometer - AVHRR. (2018, October 15). Retrieved from https://noaasis.noaa.gov/NOAASIS/ml/avhrr.html. Colwell, R.N. (1985). Manual of remote sensing. Second edition. Bethesda, MD: American Society of Photogrammetry and Remote Sensing. Florini, A. M., and Dehqanzada, Y. (1999). Commercial Satellite Imagery Comes of Age. Issues in Science and Technology, 16 (1). Geostationary Operational Environmental Satellites (GOES). (2018, October 15). Retrieved from https://www.ospo.noaa.gov/Operations/GOES/index.html. National Aerial Photography Program (NAPP). (2018, October 15). Retrieved from https://lta.cr.usgs.gov/NAPP. Observing the Earth, European Space Agency. (2018, October 15). Retrieved from http://www.esa.int/Our_Activities/Observing_the_Earth. Panda, S., Rao, M. N., Sudhanshu S., Thenkabail, P. S., and James E. Fitzerald, J. E. (2015). Remote Sensing Systems – Platforms and Sensors: Aerial, Satellites, UAVs, Optical, Radar, and LiDAR. in Thenkabail, P., Remotely Sensed Data Characterization, Classification, and Accuracies. CRC Press. Polar Operational Environmental Satellites (POES). (2018, October 15). Retrieved from https://www.ospo.noaa.gov/Operations/POES/index.html. Compare and contrast different types of remote sensing platforms. Discuss the history of aerial imagery. Discuss the different uses of satellite remote sensing. Compare and contrast Sun-synchronous satellite orbits to geostationary orbits. Discuss the benefits of using different types of orbits for different types of tasks. Identify some Earth Resource Satellites, what type of sensors they carry (including the sensor resolution), and the applications of the satellites. Differentiate between the Landsat missions, and discuss the varying sensors (what they do and their resolution) on each of the Landsat satellites. Compare and contrast Thematic Mapper (TM) with Enhanced Thematic Mapper (ETM+). Describe the SPOT satellites and discuss the varying sensors (what they do and their resolution) on each of the SPOT satellites. List some commercial small satellites and their applications. How did early the history of aerial remote sensing begin? What are some advantages and disadvantages of aerial remote sensing platforms? What are the different types of satellite orbits and what are their applications for Earth observation? What are the advantages and disadvantages for each type of orbit? How do remote sensing satellites collect data? What is a Landsat satellite and what does it do? What are the different bands on Landsat? What are common multispectral band combinations? What is a SPOT satellite and what does it do? Sentinel? What are the advantages and disadvantages of satellite remote sensing platforms? What are common applications of commercial and small satellites? What is the EOS program and what platforms does it include? Discuss the mission of each platform. Lillesand, T., Kiefer, R. W., and Chipman, J. (2015). Remote Sensing and Image Interpretation, 7th Edition. New York: Wiley. Pelton, J., Madry, S., and Camacho-Lara, S. (2017). Handbook of Satellite Applications, 2nd Edition. New York: Springer Publishing Company.